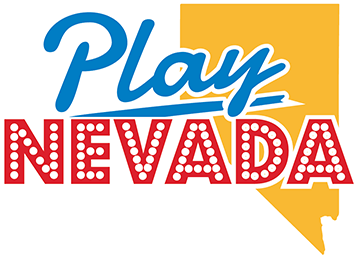 Play Nevada > Is Online Poker Legal In Nevada? 1 Why is online poker legal in Nevada? 2 Where can you play online poker in Nevada? Nevada has long been the center of the poker universe. The annual World Series of Poker has been held in Las Vegas for the past 48 years. Plus, Las Vegas casinos host some of the highest stakes and busiest poker games on the planet. It would only makes sense that Nevada would be one of the only states to legalize online poker, and it did so in 2013. Although online poker rooms in the state can accept residents and visitors, it’s not a massive market. The state entered into a shared player pool agreement with Delaware in 2015. However, the number of players in that state remains even smaller. New Jersey joined the Nevada player pool in May 2018. However, there’s legal and regulated online poker in Nevada, and poker players can enjoy all that comes with it. This includes satellites into major live events like the WSOP, increasingly large guaranteed tournaments and a healthy low-to-mid stakes cash game scene running around the clock. Why is online poker legal in Nevada? In December 2011, the US Department of Justice released a legal opinion that the Federal Wire Act only applied to sports betting. This gave states the go-ahead to sell lottery tickets online and move forward with legislation regulating and taxing online gambling operators. Online gambling became legal and regulated in the state of Nevada on February 25, 2013 when Nevada lawmakers signed AB 114 into law. The bill essentially authorized the issuance of online poker operator licenses in Nevada. A number of Nevada sportsbooks offer online wagering through the use of sports betting apps as well. However, the state has yet to authorize any site to offer online casino games. Where can you play online poker in Nevada? The first online poker room to open up in Nevada was Ultimate Poker. The company was a subsidiary of the Station Casinos group. However, it has since ceased operations. In the meantime, two other online poker sites began operating in the state. Only one remains afloat. The site still in action is WSOP.com, the online home of the World Series of Poker. Real Gaming Online Poker, an online poker operator owned and run by the South Point Hotel, Casino & Spa, ceased operations in 2016. WSOP.com has seen numbers grow every year in an increasingly robust online satellite program offering entry into some of the World Series of Poker’s biggest events. This includes the WSOP Main Event. The World Series of Poker offers players the chance to win a WSOP bracelet through online poker tournaments. These tables are available to players in Nevada and New Jersey. There were four of these events during the 2018 World Series of Poker season. The combined Delaware, Nevada and New Jersey player pool averages about 200 cash game players, according to PokerScout. This makes it the largest legal U.S. online poker platform.